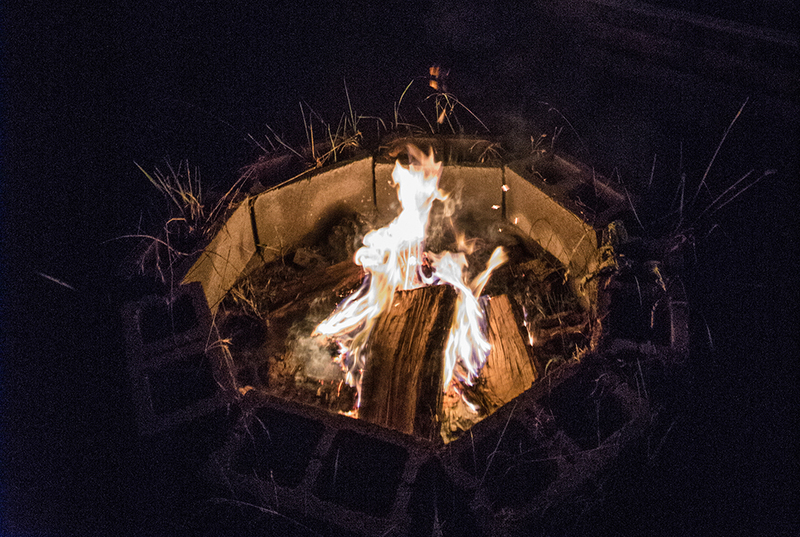 Two years ago we built a fire pit that we use and enjoy every fall, and of course we all know what goes hand in hand with a late afternoon fire: s'mores! Anytime friends visit I always make sure to have all the ingredients for a good s'more on hand. Recently though, I've started to experiment with the normal recipe (gram crackers, chocolates, and marshmallows), so I thought it would be fun to share my new favorite combos so far. 1. Reese's Peanut Butter Cups - I've always been a fan of the chocolate peanut butter combo, so it was a no brainer to replace the regular chocolate bar with a cup and take it to the next level. I am a firm believer that you can add peanut butter to just about anything and make it even more tasty: Oreos, waffles, vanilla wafflers just to name a few. 2. Kit Kat - Kit Kats are probably my favorite candy. Give me a frozen bar and I am one happy camper. I actually bought a whole bunch of them for s'mores at our wedding and totally didn't get one before they ran out, so I have feeling everyone else really loved them too, haha. I'm pretty sure you can use any chocolate candy and it will turn out pretty darn tasty. 3. Banana - Have you ever tired the magic that is a cooked banana?! You get this amazing rich, sweet, extra strength banana taste. Pair it up with chocolate, gram crackers, and a marshmallow and you are in for a treat. 4. Nutella - Replacing the chocolate with a smear of this delightful hazelnut spread and you'll be set. If you're feeling adventurous, add a banana and some peanut putter with it as well. Toast with Nutella, peanut butter, and banana is one of my favorite treats, so imagine how amazing that would taste as a s'more! Of course I had to make a little gif of the different s'mores hehe. 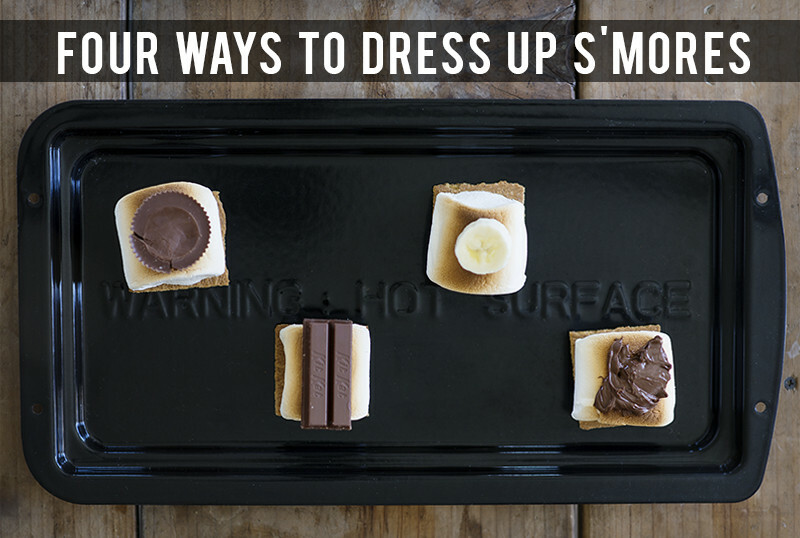 What are some of the ways you love to dress up your s'mores? I'm always looking for new delicious ways to make my s'mores even tastier. YUMMMM oh man I miss s'mores so much. If only there was a recipe for gluten-free milk-free egg-free graham crackers, I'm sure I could make some of these ideas work in my own creative way! Oh my goodness! I want to try all of these! Unf. My mouth is watering thinking about Reeces peanut butter smokes !! Genius idea to put Nutella on a s'more! I am going to give it a try. Great idea!I have to try this! To tell you the truth I have never tried s'mores. Looks super yummy. Kit Kat and Nutella!! I definitely have to try this. Oh man there must be a way! I'd love to see what you come up with. Seriously they are all amazing! Oh my word the Reese's is beyond delicious! So yummy! I think I could eat that one all day long, hehe. Thanks, hope you love them as much as I do. What?! You have never tried a s'more?! I think that needs to fixed asap! You can actually make them in your oven. Just set the oven to broil, put the marshmallow on a graham cracker, then just stick it in the oven for a couple of minutes. Be sure to keep an eye on them because they can burn really fast. Oh man the Reese's is soooo good! Such a fun little treat!